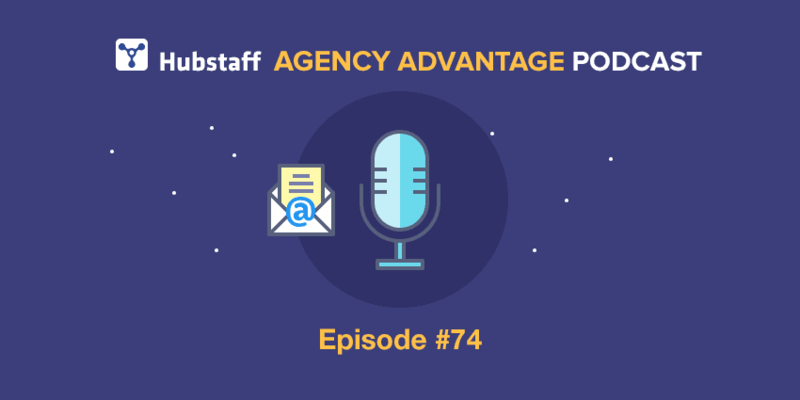 In today’s episode of Hubstaff’s Agency Advantage Podcast, I’m talking with Dan Englander of Sales Schema, who shares how to grow your agency with cold email. Cold email is a subject that has been getting more and more attention over the last few years, especially in the startup world. In fact, you probably get more than a few cold emails every week from some company trying to sell you something. This podcast isn’t about how to spam your prospects into submission. Instead, Dan walks us through the process of using cold email the right way to start a relationship built on value and nurture those prospects into paying clients. Dan uses these strategies every day to help his agency clients get more business, and today he holds nothing back. If your agency could use a scalable channel for new business development or you just don’t believe me when I say cold email doesn’t have to be annoying, then this is the episode for you. Want to read the interview instead? Click here to download the transcript. Dan starts with a familiar but always important piece of advice: find your niche. In this case, niching down won’t just help you land more clients and speak more honestly with them. It also helps you create emails that are more likely to speak to your clients, so they will respond instead of hitting delete or spam. Look for companies that fit your size requirements, clients with job titles matching ones you’ve worked with before, or agencies in industries you’ve got a track record in. These narrowing techniques ensure that your emails are more likely to get a response since you’re not just shouting into the void. Instead, you’re speaking to people who need your services. Dan has a pretty simple tip for finding emails of possible clients: hire someone. You don’t have to pay them much, and you should not be spending your valuable time on this. With a list already built, you can sort through the dross for the gold much more quickly. The other thing to keep in mind is making sure your emails are actually reaching their intended target. So often agency owners think they’re encountering lack of interest from their clients when it’s a deliverability issue. Have someone else curate an email list for you, and then make sure that there’s no technical issues when you actually send them out, and you’re already head and shoulders above other people trying cold email. Dan emphasizes that there’s no one size fits all solution for cold emailing. It’s going to take a lot of iteration and experimentation to figure out what works best for your specific niche. But Dan has a few tips as a starting point. First, keep them well spaced. Send maybe a message a week to make sure you’re getting through but not spamming them. Then pay a lot of attention to your tone. Be honest with your customers about the challenges you see in their industry and how you can help them, as well as what drew you to contact them. It shows you did your homework and aren’t just reaching out to everyone and anyone. Also, avoid marketer speak. General marketing talk is great for a wider broadcast, when you’re advertising to the masses. But direct sales requires customization. You’re not trying to shill to your clients; you’re initiating a conversation, showing them where you can help. Next, take a good long look at your value prop. Your collective experience and creativity are great, but that’s what everybody talks about. Instead, be as specific as possible, like, “We help manufacturing businesses increase efficiency by 30%” or whatever your specific agency has been proven to do. That’s a lot more interesting than your general skills. Keep it short and sweet, like everything else, the better to make it an easy, highly legible read. Finally, get the client to make a commitment. Dan advises against having traditional calls to action where the client has to click through to your website or a calendar app. If they have to leave the email, you’ve probably lost them. Instead, ask for something directly, like, “Can we talk this week to discuss what my company has done for other clients?” Make it a direct yes or no question, something that’s very easy for clients to say yes to. They just have to hit reply and tell you when they’re available. Don’t make them work to give you their business. Dan’s final tip for cold emails is the most important. Just as when you’re making contact with a client via more traditional means like a referral, you need to respond to any client reply ASAP. Make sure you keep their interest so you can turn them from a lead into a regular client. Andy Baldacci: Dan, thanks so much for calling the show. Dan Englander: Thanks, Andy. I appreciate it. Andy Baldacci: You were on here almost a year ago, and then you were talking about how proper account management can really help grow an agency. Today we’re going to focus on how to use cold email to fill agency pipelines and the mindset required to succeed with any sales process. This is a topic that might sound a little dull, but it’s something that’s really valuable and important and I think agencies are going to get a lot out of this. Before we dive in, for listeners who aren’t familiar with you, can you share a brief background and how you gained experience generating leads for agencies? Dan Englander: I started at this animation studio called Idea Rocket. I won’t get too far into that, but basically we were selling high-end creative projects and enterprise video services. We used a lot of outbound methods there, so I kind of had that in the back of my head. Then founded Sales Schema which is a consulting business designed to help agencies and digital marketing services drive more business. I had all these clients, and I would give them advice on how to get leads, win new business, and how to do sales and stuff. The problem was they would get taken off course, and they would get inconsistent. Then eventually we shifted to a done-for-you lead generation model, so that’s what we do now is high-end lead generation programs for agencies in niche marketing services. Andy Baldacci: How long have you been having this lead gen model for? Dan Englander: About a year now, give or take. Just kind of building on the experience of myself and my team, that have done it forever for ourselves in previous lives. Andy Baldacci: I know we’re going to talk about specifically cold email, but what other methods are you using to generate leads for your clients? Dan Englander: We’re using primarily cold email and Linkedin right now. Although, we might add some other things in due time. Andy Baldacci: That’s interesting. I’ve talked to a lot of agency lead generation experts, and so many of them have a cornucopia if you will of methods that they use. I get that there’s always a time and a place for a specific method and things, you need to try different options, but at the end of the day I feel like it’s a much better approach to focus on just a couple things, do them really well, and really develop expertise. I’m glad that you’ve taken that approach. Dan Englander: Yeah, absolutely. We’ll go into this, but I don’t like to get way too hung up on a specific tool, although I am happy to go into cold email and anything else in detail. It’s more about outbound and how to do outbound and what makes it different, that’s important for agencies to understand. Andy Baldacci: One of the reasons why I did want to focus on cold emails is because I spent a lot of time in the startup world. Everybody is talking about cold email for lead generation. They’ll have their sales reps doing constant prospecting with cold email and then using that to generate real sales and scale quickly. On the agency side of things, I just don’t hear as much talk about it. I’m glad that we’re actually able to dive into that a bit more. For cold email, what are you doing and how are you using that to actually help agencies generate new leads? Dan Englander: The main thing that we’re doing is we’re building the lists from the ground up and getting super targeted, which is really important. A lot of the times I think people perceive email as spam or something, if you’re running these campaigns. It’s not. There’s ways to do it right, and there’s ways to do it very wrong. I’m sure that most of your listeners are familiar with the ways people do it wrong, which is being extremely untargeted, writing a very self-serving message. The main thing that I’ve learned from this business and from doing it for myself is that the bar is very low. There aren’t that many people doing it well. The success that you’re aiming to look for is a 10-20% response rate is great. That means that 8 out of 10 people might not be interested right then, but if 2 out of 10 are, you’ve really bulked up your pipeline and driven your sales process forward in a major way. I think that that’s one of the reasons email is really great. It’s also sort of anti-fragile in a way. It’s been going strong since inception, roughly two decades ago. It’s been challenged by every social media platform under the sun, and it just keeps getting stronger. It’s still a place where US workers are spending some stats say up to six hours a day. Even if it’s not that much, it’s still quite a bit of time. It’s a good place to be. Dan Englander: Exactly, yeah. Maybe we’ll get to this in more detail later, but I think it’s part of this bigger issue where outbound in general kind of allows you to meet the strategic vision for your agency. There’s nothing wrong with inbound, and I think that you should probably invest in both on some level, but you really don’t have that much control over who knocks on your door. Even if you do everything right and you get all your articles perfectly lined up to a specific audience, at the end of the day you don’t have control. I think outbound is understandably scary to people, because you’re the one knocking on someone else’s door and getting into their inbox or getting into their Linkedin message box or whatever. It’s a little bit scary, but the plus side is you’re getting people at a completely different phase. When people are coming to you, generally, they’re at a “provider selection” phase. When they knock on your door, they’re looking to compare you to competitors, and you’re largely commoditized in a way. Even if it’s a great conversation – and it feels really good to have those calls because they have budget, they’re all ready to go – the downside is you don’t have as much control. You don’t have as much control over how they’re thinking and their decision-making process. Compared to outbound, yeah, occasionally you’re going to get in the situation where somebody happens to be in the market right then, which is great, but more often there’s just going to be people that have sort of a vague but sharp problem. They’re going to be at this problem discovery phase or they’re going to be at a solution research phase. You’re going to get at them right then. It takes a different sales process, but I think the benefits are well worth it. It allows you to sort of get complete control over how you eat, basically, over your new business in the future. Andy Baldacci: You had mentioned this earlier, about how many of us are familiar with cold email gone wrong and sort of the wrong approach to cold email, where you just kind of spam out the same, barely personalized message to thousands and thousands of people and hope someone bites. If that’s not the right way to do it – which we can all agree it is not – what is the right way? What steps do you actually have to follow to build an effective cold email campaign? Dan Englander: I used to try to get really complex with it and try to figure out how to find triggers for buying intent. It’s possible to do that. You can go see if somebody is being hired at a hiring site, and that’s an indication that they might be switching agencies or something. Now I don’t think that that’s how you do it. Now I think that it’s all about finding two to three niches that you know you can serve really well and a very legible value prop that you have those niches. You’re finding the right-sized companies, the right industries that you have a track record with, and the right titles. Then that allows you to basically build an email campaign at scale. Andy Baldacci: For titles you mean titles of the prospect that you’re reaching out to? Dan Englander: Correct, job titles. Andy Baldacci: Once you’ve started building this list, what happens then? I know for people who don’t have much experience actually building out these campaigns, it’s sort of a little unclear at that point. All right, I’ve put together a list of people who I know can benefit from this service. What do I do then? Dan Englander: You’re going to find their emails. This is not the sort of thing that an agency owner should be doing. This is something that is easily hireable via hiring channels like Upwork and so on. You could pay hourly for $3-$6 an hour or less than $1 per lead or something to that affect, depending on some complexities there. You’re building this list. You’re having the emails scrubbed and verified to make sure that they’re going to be sent. I think that that’s a big missing piece, where people will sometimes ascribe nobody’s interested, nobody wants my offer, when it’s really just a more technical deliverability issue. A lot of the emails just really aren’t getting sent, or they’re ending up in somebody’s Junk folder or something like that. Deliverability is really huge. In terms of Maslow’s hierarchy, that’s in the bottom. Make sure your emails are getting sent. Then from there, it’s all about writing the sequences. Typically you’re going to want to aim for maybe three to four sequences or three to four messages in a sequence that are roughly spaced out by a week per message or so. I can go more into that, but that’s the second step. Andy Baldacci: Yeah, so let’s get into that step a little bit. This is where I think a lot of not necessarily agencies but so many people that are running cold email campaigns, this is where they get it wrong, is what they actually are putting in that email. What do you typically – obviously it’s going to vary by client – but how do you think about these initial emails, to actually get through someone’s not their actual spam filter but kind of their mental spam filter, where they just completely write you off? How do you get your email to stand out? Dan Englander: This takes some iteration. There isn’t a one size fits all model for this. I like to start with honesty. I don’t like to make some customized lie that’s not really based in something that’s genuine. If you can customize the first line and sort of pull a custom field from your list but still make it genuine, that’s great. Maybe it’s you’re targeting companies that have been in business for a certain number of years or there’s something specific about the industry you’re targeting that you can pull genuinely into an email, that actually is relevant. That’s sort of the first thing, if you can customize it a bit or even just saying, “Hey, I was doing some research, and you guys came up on my list for X, Y, Z good reasons.” You don’t have to rail on about that. The next thing is sort of the tone. A lot of people will make a very formal, very marketing-like tone. I think it’s a different world that we’re dealing with here. Marketing is sort of meant for broadcasts to the masses, and sales is very much a one-on-one networking-like thing. The tone is definitely casual, that you’re going to want to aim for. If you want to use it to reconnect with somebody you met at a cocktail event, then you probably shouldn’t use it in a cold email. The next thing is your value prop. I can’t tell you how to write your value prop on this podcast, but it’s probably not your creativity, it’s probably not your collective experience, it’s probably not these things that you think are different but nobody perceives to be different. It’s probably something very specific like “we help manufacturing businesses increase efficiency by 30%.” Obviously agencies want to do that, but it could be something else like, “We help reach 20% more customers a month through X, Y, Z reasons and X, Y, Z methods in the e-commerce world.” Something like that. If you can parlay what you know to be a differentiator to a particular niche, then that’s even more powerful. It needs to be really legible. There’s also this sort of idea of let’s say you walked into a bathroom and you picked up this substance and it says it’s made with chamomile and herbs and this and that and it’s really great and it’s going to do great things for your skin. At the end of the day, you need to know whether it’s a lotion or it’s shampoo. It’s like, “What are you? Are you a branding agency? Are you a PR company?” There needs to be something specific that people can wrap their heads around. Andy Baldacci: There’s a ton to unpack there. The first thing is just in the beginning you talked about that first sentence or two, genuinely personalize it. I think that’s huge because so many cold emailers out there will basically just have it say “all right, insert their company name, insert agency name, insert whatever,” and that’s the only thing they customize. For me, just saying Hubstaff in the email isn’t really personalizing it, especially when you’re saying things that aren’t accurate at all. One of these emails I just got – I’m just digging through my collection of bad cold email – it’s funny there was one where it was like: “I checked out the landing page for Hubstaff, and I have several suggestions to help you improve your conversion rate.” I’m like, “I don’t know what that even means. What landing page do we have? What one did you see?” That’s not genuinely personalized. That’s just something where they inserted the company name. I think it’s important that you stressed on this personalization there. Can you expand on just how you think about that a little bit more? Dan Englander: Yeah, that’s a good question. I don’t think it necessarily has to be from a custom field. I think that makes it easiest, but there’s ways to do it without even using a custom field. I think it’s basically just saying why somebody made your short list, to some degree. I’ve said, “We found that companies, agencies of your size are typically hitting a growth ceiling once they get to about this place and are interested in finding new ways to get leads.” That’s worked really well. If you can sort of dial into a bleeding neck, as Perry Marshall would say, you don’t have to customize too much. It’s just going to hit home right away. That helps a lot. Andy Baldacci: That ties into what I was going to get into next. That’s just the value of truly having a strong value prop and having a clear position for your agency. If you’re just a generalist web designer, it’s going to be really, really hard to hit on that bleeding neck, to hit on those pain points. If you’re trying to help anybody and everybody with anything that they have wrong with their website, you’re not going to be able to write copy that really resonates. Dan Englander: Exactly, yeah. I think that might sound scary to a lot of people, but the good news is you don’t have to blow up your agency and reinvent it to do that. It’s basically writing this email and maybe creating a landing page, if you want to get fancy. It’s not like reinventing everything all at once. You can really experiment with this stuff. That was a huge breakthrough for me a while back in my business. 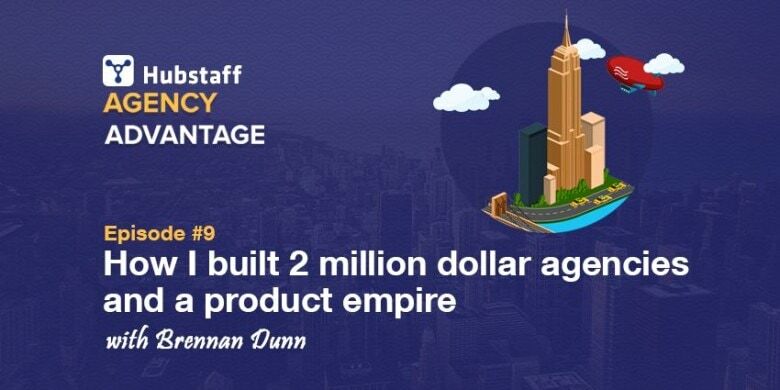 I think I was at a conference with Noah Kagan, and he pointed out that no great businesses ever started without niching. IBM started with calculators. Facebook started with college. Amazon started with books. This idea that you’re going to somehow break this trend is not likely. Andy Baldacci: I like that you hit on the fact that this doesn’t need to be a complete rebranding of the agency. This can be something as simple as actually building out a landing page for a specific service, a specific market, whatever it is, so that you can customize the language a bit more to speak directly to those pains. That is a much easier pill to swallow than saying, “All right, throw out everything you’ve done! Turn away all these other clients! You’re just going to focus on these ones right now.” This is a much lower stakes way of testing the waters. Dan Englander: Exactly, yeah. There’s probably more low-stakes experiments you can do throughout your agency that might seem scary but actually aren’t that big of a deal to test. Just to wrap up the email template stuff, a lot of people asked about call to actions and CTAs and stuff. I don’t like to make people click through to a calendar link in the email. I think you’ve got to sort of get a commitment in that first message, before you go to something else. I think a lot of times when people are new to this, they’ll try to over-automate it. It doesn’t work because you don’t really have someone on the hook. It’s sort of like you have them on the hook and then you’ve got to keep reeling and reeling a little bit more. There’s sort of this interplay there. What I’ll usually say is, “Can we connect briefly this week or next week for a brief mutual review or so that I can run through what have you done for other, similar clients?” Something that’s sort of value-giving and allows people to just very easily say yes or no. You don’t want to muddle your call to action and have a bunch of different things for people to do. You don’t want people clicking through to your website because then they go and they get lost and they never come back. Andy Baldacci: That’s an interesting point because that’s one things where I feel like people who immediately send the scheduling link, I think that’s a bit presumptuous. It’s also just a bigger commitment. It’s like, “All right, I have no idea who you are. You’re sending me an email. I’m sort of interested in what you’re talking about if you’ve done a good job writing this email, but it’s much easier for me to just put off doing anything. If I need to click on your calendar link, dig through my calendar, find a good link, and do all that? I’m just not that invested.” If you simply say, “Hey, are you interested in continuing this conversation? Yes or no.” Then I can just say “yes,” and I’ll be like, “All right, I don’t need to think about this anymore.” It’s a much smaller commitment. Then when the next email comes, I already have some commitment, so it’s going to be easier to get me to take the next step from there and so on. Dan Englander: Exactly, yes. I think that a lot of people will stress about their websites too much. “Oh, the website isn’t perfect. We haven’t built a million use cases and specific pages” and all this stuff. I always say your website is not for mass consumption. You’re probably selling agency services in at least the five-figure range, even if it’s a little bit below that. Your website doesn’t need to do that much heavy lifting. At least for what we’re talking about. If you’re talking about inbound and you’re generating traffic to your site through PPC and stuff or content, that’s different. For what we’re talking about, it doesn’t have to cover every single base. It just needs to look relatively professional. Andy Baldacci: I think that’s a good thing to harp on. Like you said before, outbound can be scary because you’re the one knocking on the door, you’re the one potentially calling in the middle of dinner, things like that. People have a resistance to that. Just letting them know that not everything needs to be perfect to get started, to test the waters, makes it a lot more palatable for an agency owner who’s kind of on the fence about this stuff. Dan Englander: Yeah, exactly. There are enough successful businesses that have been built from just these dyed-in-the-wool sales guys that have a phone and a list and that’s really it. I’m not saying that you should do just that and you shouldn’t send anything afterwards, but it doesn’t take much to get the ball rolling. Andy Baldacci: When you work with clients – you said this is a done-for-you service – at what point do you and your team back off and when does the client actually step in? Dan Englander: We will basically send these messages on our clients’ behalf and then when we get interest, then we forward them along to our clients. There’s some variance there. Some people are going to be ready to talk right away. Some people might want some more information. “What work have you done for X, Y, Z industry?” Something like that. Some people might say, “Hit us up in a week.” Once we get somebody raising their hand, then we send them along. Andy Baldacci: This is one thing that I’m curious about because I know in a lot of industries the speed to reply to an inbound lead is crucial. If you’re not responding within sometimes even minutes, there’s a very good chance that the lead is going to find someone else. Like you said before, for inbound, they’re often shopping different providers. How does that work with outbound? Obviously they don’t want to just sit on a lead for a while, but is there as much urgency in getting back to them? Dan Englander: That’s a good question. I think that responsiveness and urgency is still really important regardless. There could be some variances between different situations. If somebody is way further along, then speed might be more important. The main thing that we qualify for when we take on new clients is that they have the bandwidth to consistently do sales and that they can be responsive and so on. I think that whether it’s inbound or whether it’s outbound, you’re talking about the lifeblood of your company. Responsiveness really matters. Andy Baldacci: That ties into what I really wanted to also get into in this show, and that’s the required mindset to succeed with building out any real sales process. Can you talk about the other types of criteria or just factors you think agency owners and agencies themselves need to have to really succeed, when trying to implement some sort of outbound sales process? Dan Englander: The main thing – and some agencies are ahead of the curve on this, others really aren’t – is taking ownership over being in sales. You are selling a service at the end of the day. It’s not something else. That’s what’s going on here. With that in mind, it has to be consistent. I think that having the mindset in the same way that a weightlifter or a bodybuilder would think of lifting weights is sort of how you have to think of selling. You want to have a certain number of conversations every week or every month with the right job titles or the right companies, basically. That’s the main thing. I think another one is sometimes agency owners will let themselves off the hook too easily. They’ll sort of say, “Well, that person wasn’t ready to buy.” I think that that’s problematic because you haven’t really developed a sales process that leads somebody. You’re sort of working with a process that is based on somebody being in the market for what you’re already selling. Saying “they’re not ready to buy” is sort of letting yourself off the hook. I think it’s more about developing the sort of push market concept, where you’re really kind of doing a teaching-based sale. You’re getting somebody at a stage when they don’t know exactly what they want, but they know they have a problem and then you’re the one to lead them to signing up with you. It’s a lot different than just waiting around until somebody’s ready to buy a website or ready to buy a CM campaign or whatever. Dan Englander: Basically a push market is one where you are getting in touch with a buyer where they’re at this problem discovery phase or this solution research phase. You are sort of pushing them towards a solution that you know to work well. It’s very much a teaching-based sale. It’s the sort of thing where you have a specific process and you’ve worked with certain people, certain other companies and their niche, and you can prescribe a certain number of things. It’s not about the pull market, which is sort of like waiting for people to come to you and put you in a spreadsheet and compare you to competitors. Cars are a great example of a pull market. If you see a car commercial and you’re not in the market for a car right then, it’s just sort of white noise. If you write a cold email that says “we do web design” and it’s really great and it looks really cool, it’s sort of like a car commercial. It’s a pull market. Andy Baldacci: Because if I’m not looking for web design at the time, I’m just going to tune it out. I’m just going to immediately delete that because what you’re trying to sell me is not what I’m looking for. Dan Englander: Yeah, but if you can say “we help e-commerce companies optimize their funnels by 30% when they reach this stage and we happen to do it through web design and one or two other things,” that becomes a push market now. Dan Englander: Exactly, yeah. You’re getting people at that earlier phase. All they know is they have this problem. They don’t really know what the solution is going to be yet. Which means you have to be a little more persistent, but I think it’s worth it. You just get a lot more control over the sorts of companies you work with. Andy Baldacci: If that’s the right way to play this and to approach this type of sale – I know you don’t do this for your clients – but how do you recommend to them or in your mind what is the right way to approach that initial call with them? How much teaching? How much discovery? What sort of things are you trying to fit into that call? Dan Englander: A great primer on this is The Challenger Sale. To sort of give a brief history, sales, I like to think of it personally as three different phases. You have this first phase, which was very much the Glengarry Glen Ross pushy sales guy sort of situation where basically sellers had all the information and buyers had very little leverage, and you have the stereotypes and stuff. Then you have the second phase, which is SPIN Selling, which was written in the 70s by Neil Rackham and was the first very, very well empirically researched sales book from thousands of conversations analyzed and so on. That was all about qualifying. That’s sort of the phase that people are still in now, which is you ask a million questions, you figure out someone’s pain, and then you sort of map their pain to this complex solution and hope it all works out. You allow them to sort of go into the rationality of it. You allow them to go into the emotional aspects of it. You sort of lead them to a particular path, and you get them to say yes or no instead of just trying to maintain or build a relationship that doesn’t really exist because there’s no commerce being done. This is all from Challenger Sale, but you basically maintain a sort of constructive tension through the call. You care enough. You care enough to compel them to take action and do something that’s going to benefit them. Andy Baldacci: I definitely would recommend that book, The Challenger Sale, to any listeners of the show. SPIN Selling, while I agree entirely with how the market has changed and how sales processes need to change along with that, I still think it’s a good read for people to get that initial primer. Yeah, The Challenger Sale dives into a lot of that. I think it’s a good point because so many times when you’re talking to a salesperson, they ask you these questions in their discovery phase – or whatever they want to call it – that if they are really the experts that they claim to be, they should know the answers. They shouldn’t have to ask those questions. Conversely, if someone is able to preempt those things by giving me insights that show they do have an expertise in my field, I’m immediately going to think of them differently than I would a typical salesperson. Dan Englander: Right, yeah. The idea is you’re reframing how people are thinking. You’re getting people to think different. They really have to buy the solution before they care about any feature or benefit that you’re selling. That’s the main point of it. Andy Baldacci: The other thing I wanted to touch on, which you mentioned before this, was the value and importance of consistency. Why is that so important in your opinion? Dan Englander: Because these agency sale cycles, you’re talking about sale cycles that are lasting weeks if not months. If it drops off because you get busy with client work or whatever, you’re really setting yourself up for failure or for being in this sort of down swell in the feast and famine roller coaster, weeks or months out. It really has to be the sort of thing that’s consistent and systematic, or else you’ll just kind of end up back in that rut again. That’s the same for a lot of businesses I think, but for agencies I know that it tends to be a bigger problem because you have a lot more people in sort of a hybrid role. They’re selling and serving clients at the same time, and they get a bunch of clients. They’re on top of the world, and they think it’ll be like that forever. Then it’s not. Andy Baldacci: Right, it’s that inconsistent action really does help perpetuate that feast or famine cycle. When things are bad, that’s when a lot of agencies will step up their sales game, they will start sending out cold emails, they’ll start reaching out to the network. They’ll start doing all these things, and then when the projects eventually come in, their team is fully booked handling that. They’re not thinking about anything else and just trying to deliver work. Then, when those projects end, because they haven’t been consistently doing those sales processes, they don’t have any new projects coming in. It really can be a vicious cycle. To combat that, if agency owners were going to do this in-house rather than outsource it to a company like yours, what tips would you have for them on how they can be consistent with it even when they are really busy? Dan Englander: I think a lot of it is automate-able. I think you can get somebody building lists and you can be running campaigns, testing things, and so on, on the lead generation side. The main thing is making sure that you have the bandwidth for sales and to be persistent when people agree to speak with you. I think that it’s like anything else. You’ve got to block off time for it, and you’ve got to make sure that that time doesn’t get interrupted. I think morning is more ideal, but regardless, what I like to do is if you are scheduling email campaigns to go out, schedule your sales time for a half hour after those campaigns go out. That way you’re sort of setting yourself up to be responsive. Just building that time and make sure that it doesn’t get infringed on by clients. Be disciplined, set expectations, do what you need to do, but make sure that you’re working the pipeline at least every day if not more than that. Dan Englander: Yeah, exactly. I think what’s tough is that the nerve center of sales is the inbox, which is the nerve center of everything else that’s going on. That’s challenging, but there’s things you can do. Living out of a CRM is better. I use Streak, but there’s others that are great, too. It’s sort of keeping email away from other things, if you can silo client conversations that’s great. Andy Baldacci: I like that. Dan Englander: Even if you don’t have a Dan Kennedy, you can think of your time spent on sales as allowing everything else to happen. Andy Baldacci: Right. It’s something where when those fires come up, not all of them actually do need to be dealt with right that second. It’s placing the right priorities on the different tasks that you have and actually sticking to that, which does take discipline. On the other side of things, if you’re an agency owner and you find it nearly impossible to set aside 30 to 60 minutes a day to work on the business like this, to dedicate to sales, then there are probably more systemic issues in the agency that you can address in other ways to try to take that time back. While a lot of us assume there’s always going to be fires we have to put out, if it really is that big of an issue, then there’s other solutions that we should look at first. Dan Englander: Right, exactly. You can hire sales people. It just takes time, and it’s no small investment. It’s something that you should look to get to, sooner rather than later. Andy Baldacci: If you do your job right for your clients, do you have the expectation that eventually you’ll maybe be replaced by a full-time sales person? Dan Englander: I don’t think so. I used to have that fear, but now I have found that there’s plenty of big sales teams that we just sort of add more quantity and quality to their lead flow. Even these sales guys are still busy and still can’t always do what we do. We can just sort of add to what they’re already doing and find other markets they might not be thinking of. I think it makes sense to get a second pair of eyes on things regardless. Andy Baldacci: Right, a lot of it – hiring that sales guy or gal – is going to just be shifting the responsibility of having these followup conversations from typically the agency owner to someone else. There’s still that need for the lead generation side of it. Without that, there aren’t any conversations to be had. Dan Englander: Yeah, exactly. It’s sort of easy to get stuck in a rut where you’re not thinking of the sort of creative aspects of lead generation like what other niches could we apply this to, what’s the next direct marketing style message we can write that will perhaps do better than the one we’re using already? It’s that sort of consistency that’s hard to maintain with everything else. Andy Baldacci: To tie things together a bit and leave listeners with a big of actionable advice, what is one thing that an agency owner right now can do to at least get started with building out their sales pipeline? Dan Englander: I think it’s really figuring out what are one to three niches that you can hone in on. That’s the first step to developing this value prop that makes it, A, a lot easier to build lists and write messages and everything else, but, B, have an agency that scales, that you could sell one day if you wanted to. I think that’s the biggest thing is just figuring out who you’re servicing. Andy Baldacci: So much of what you talked about today really comes down to that value proposition, to having something that does hit on key pain points. Like we said, if you try to be a generalist, it’s really hard to get that value prop to a way where it’s going to stand out in a crowded market. I agree fully that starting there is a good way and then everything else can follow, once you have that laser focus on who you can help and how you can help them. Andy Baldacci: Before we do wrap up, I like to ask all my guests a few rapid-fire questions. I’m going to go through them quickly, but your responses don’t have to be short. The first one is just what do you currently spend too much time doing? Dan Englander: That’s a great question. I think I spend too much time scheduling, which is sort of this other jujitsu of sales, is scheduling. It’s not easy to automate all of it. I think sometimes I could do a better job with that. Andy Baldacci: What are you not spending enough time on? Dan Englander: That’s a good question. I think I get stuck in not being able to see the big systems of the business and what could be better done by others. I think that’s something I’m focusing on now more, is figuring out what I actually need to be doing. To get specific, I end up getting stuck in these tinkering ruts where I’ll be tinkering with WordPress for two hours when that could have just been not done at all. Andy Baldacci: More practically speaking, what are you hoping to accomplish in the next quarter with Sales Schema? Dan Englander: I’m looking to just bring on the ideal clients, the agencies we can really get results for. Not en masse. We’re looking to bring on a lower number and just keep people, get people that can stick around for a long time as opposed to be on sales calls all day. Which I don’t hate, but it’s better to win clients that can stick with you for a long time. Andy Baldacci: Absolutely. What is the biggest obstacle that you see getting in the way of achieving that goal of growth? Dan Englander: I think personally my biggest challenge is figuring out when to hire, who to hire, and how to keep their time filled once their on. Then once their time is filled, what’s actually meaningful for them to be working on? I think that’s the thing that scares me the most and that I’m working on. Andy Baldacci: Are you planning on making any hires in the next quarter? Dan Englander: Yeah, we’re bringing on account managers now, basically. Andy Baldacci: Nice. Hiring, knowing when to grow, knowing how to grow, knowing how to handle that process is a whole can of worms. I wish you all the luck with that, and I wish I had some advice, but that is something that seems like people kind of need to figure out what works for them and for their team. Again, I wish you all the luck with that. Dan Englander: Yeah, that’s a whole other side of the equation that I’m not smart enough to deal with. Andy Baldacci: Before we say goodbye, if listeners have been intrigued by what you’ve talked about, if they want to learn more about how you do this, how they can do this and build these sales processes, where is the best place for them to go? Dan Englander: Our site, which is just salesschema.com, sales and then “schema” as in schematic dot com. There will be plenty of fun resources there for everyone. Andy Baldacci: Awesome. I’ll make sure to get that linked up in the show notes. Dan, I just wanted to say thank you so much for your time today. It was a lot of fun chatting. Dan Englander: Likewise, yeah. Thank you, Andy. If you’re interested in Dan’s cold email technique and want to start building your own sales processes, check out his website, salesschema.com, which has plenty of fun resources to get you going. And be sure to check out our definitive guide to getting clients with cold email!